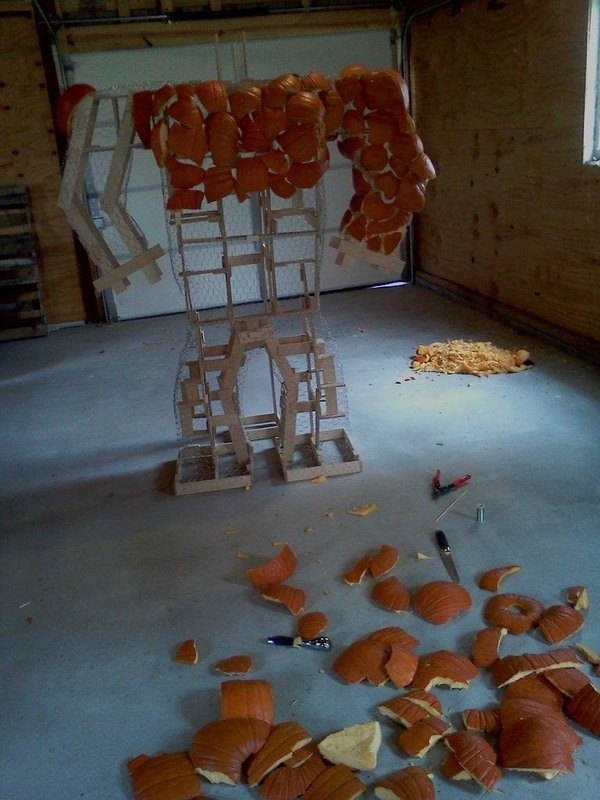 Of all the ways you can use pumpkins for Halloween decorations, this has got to be one of the most creative. 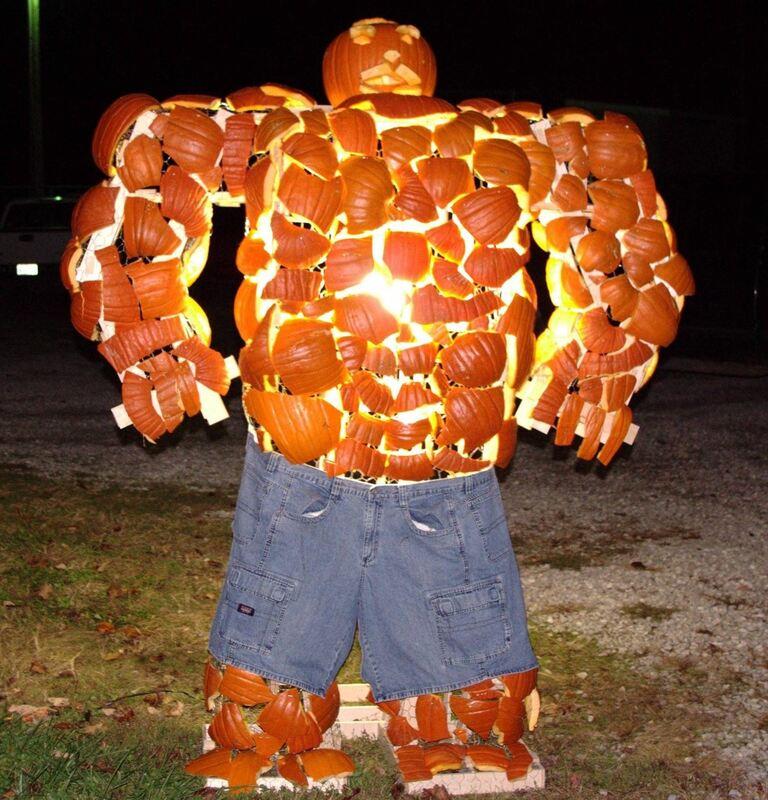 Redditor wizardtig used pumpkin shards to construct a 6'4" replica of the Fantastic Four's Thing. 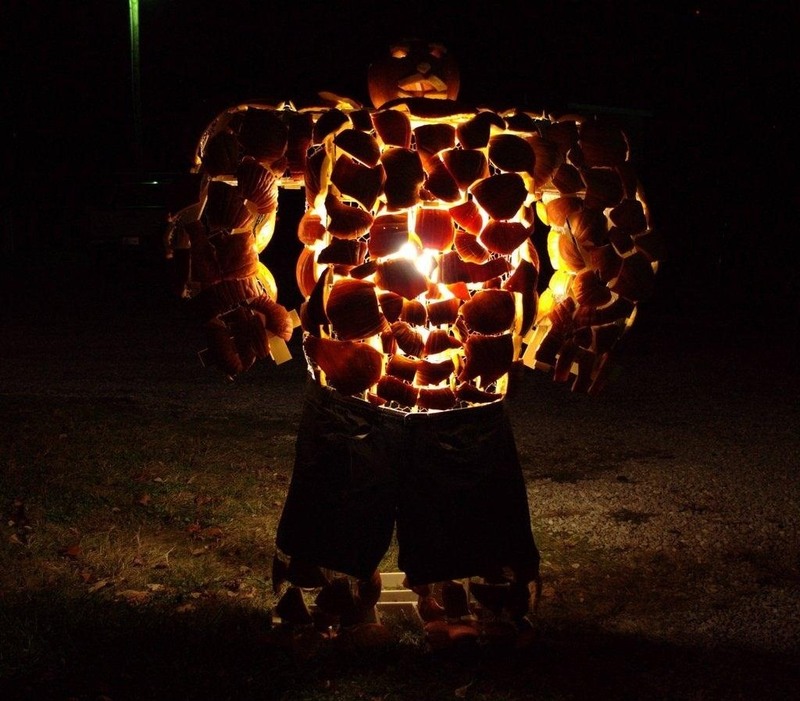 Does this technically count as a jack-o'-lantern? 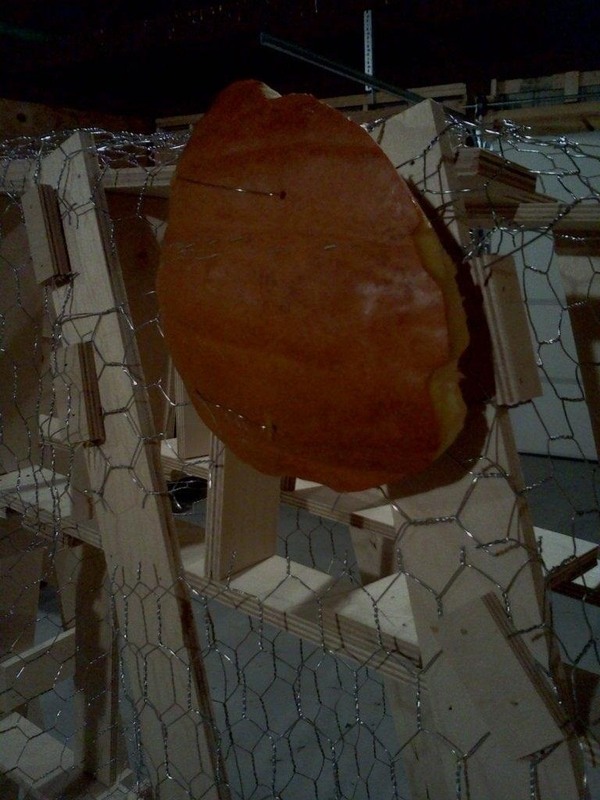 Under the eleven pumpkins that got smashed to bits for this project is a wooden frame wrapped in chicken wire, with the pumpkin pieces attached to the wire. You can check out more photos of the build process on his Imgur album.